What a word. What a woeful word in a world full of the worn out, the over-worked, and the wrongdoing. What is acceptance anyway? Is it really what we even need at all? Why is it something we seem to really want? While some worry about whether their work is worthy and others wait to see if their love is wanted, acceptance is a word worth wondering about. I have been wondering a lot about it myself. When I went to watch my favorite women compete once again I wondered why we even want to work toward that. What is the real draw? When the word acceptance wrecked into my internal monologue recently, I wrote about rejection. Where I began on a quest to dissect my feelings on acceptance, I found the first feeling had to be the fallout from it. Rejection is the root where I landed. With that bad news behind me, I thought I’d better begin breaking down a new buzz word. What exactly is the big deal about being accepted by others and why does it bother us so badly when we aren’t? Back to burrowing in for more buried treasure. I have done a lot of things throughout my life. Many were likely to try to prove my worth to myself, if not even other people. I have often pretended that I am not one of the jurors or even the judge herself who jails my own justice-seeking, but my bend over backwards bias knows far better. Why worry what others think though? Why wring myself out to woo them, or even my own complicated complexity? Why walk so far out of my way to wow a world who wouldn’t welcome me even if I were to wake up with the weight of their every whim wrapped completely around my own wellness every single working day of the week. I often do. I always have. And it isn’t because I’m weird. It’s because I wrongly believe that working harder will somehow make me feel even a little bit less unwanted, or, perhaps, unworthy. Wounded, maybe? I don’t know. I suppose wounded women seek after warriors. Maybe we want rescued. When that fails maybe we work hardest to rescue ourselves. When one feels worthless, the second someone steps in and says we might maybe even matter in some minuet way, we get a tiny taste of wellness and we rest for just a watchful moment. But is that really what God wants? I wonder if it is just another worthless distraction, or worse, a window into a wellspring that is anything but well. Wanting acceptance is a window into our not so well wellspring of life otherwise known as the heart. One cold winter day my dad came up to my room and began looking at the frosted windows with me. We talked about Jack Frost and how that frost must have gotten there. He told me he wanted to show me a trick. We put our hands on the frosted window and held them there for a few minutes. He told me to look at the window next time it got cold and I’d see our hand prints again. One big hand and one little one. That’s what I saw every time it got cold. I learned from that old winder. I learned that if we will just take the time to wait and wonder with Our Father for a moment, he will teach us everything we really need to know. We will find that even when life gets coldest, we will be able to simply look up and see Him. His big hand will be there still showing up right next to ours on that pane; in our pain. What if that was all we needed? “Unless I am convicted [convinced] of error by the testimony of Scripture or (since I put no trust in the unsupported authority of Pope or councils, since it is plain that they have often erred and often contradicted themselves) by manifest reasoning, I stand convicted [convinced] by the Scriptures to which I have appealed, and my conscience is taken captive by God’s word, I cannot and will not recant anything, for to act against our conscience is neither safe for us, nor open to us. God made his sons and daughters to contrast the world. He did not give us a Spirit of power so that we could conform to the unwritten rules of compliant, codified conduct. God gave us a Spirit of power, of love, and of self-discipline so that we could carry out his call in a creation that is crying out for our unmitigated courage, our non-conformity, and our contrasting ideals. And we cannot carefully do those things if we cannot get past the very concrete possibility of complete and total repudiation from our closest counterparts and comrades; from the very sources by which we so want to be cradled and commended. No, HE must be the only source of comfort, command, conduct-assessment, and calling we come to. I cannot clear my schedule for any commanding officers with any less clout than my Creator. And if that’s going to be my war-cry, then neither consent, condescension, nor criticism will ever be able to complicate my conformity to his calling. Apparently rejection is a school that makes a man much clearer-thinking. Or at least that’s the goal Our Keeper has in cue for it. Therefore, worldly acceptance is carnal. I ought to be so much more calloused about it’s call by now, and frankly I am completely ashamed of how needy and necessary I have made that whole misguided mess the majority of my life. So today I’m looking for a different kind of hand. No, not to clap to give personal confirmation. I’m looking for the big hand on that winder of wellspring which bears witness to my being the very best human being for the business He bought me to bear out and believe for. No devotees needed. I was extremely shy when I was in grade school. I got to about fourth grade and realized that my best friend in the class was my teacher who only knew me as the girl who read ahead so far that I’d run him completely out of extra assignments. I just didn’t reach out to other kids naturally. And it was OK with me. I was content with my books and my solitary story writing at my desk during recess on the daily. Being friendless didn’t really bother me…until the next year. In fifth grade the other girls in my class started a club. They called it the “Hate Lori Club.” The name says it all, I suppose, but the gist of it was to daily find ways to make me pay for my shyness and poor clothing choices. They would name-call and take my prized New Kids on the Block fan girl items. They would take turns making fun of me. And it was fine. I already knew I wasn’t cool and didn’t dress right. No one really had to tell me that. I could just walk away and forget it…until my singular newfound “friend” decided to join the club. She was a girl who lived up the street. She was the kind of kid who everyone wanted to be friends with. She was the whole class fought over who got to sit next to her at lunch kind of kid. But one day, and I have no idea why, she decided to come to my lonely desk where I was busily working through recess as usual, and befriend me. She asked why I always sat alone. She asked if she could be my buddy. By then, some of her fan club had gathered ’round. Surely if she wanted to be my friend, they were bound to be behind her. And I felt like a million bucks because the best, brightest, most sought after belle in the room chose to talk to the likes of me. Our friendship bloomed and we were neighborhood New Kids on the Block fan girls together for years to come. But not before she joined the club. When my newfound friend – for whom I was not looking, did not need, and was completely flipping FINE without before – jumped on the how can we all hate Lori best bad girl bus, I became beyond broken. It’s one thing when rejection comes by those who don’t rightly know you. It’s quite another when you’ve already realized one another’s realness to a certain extent. After that girl joined the Hate Lori Club, things were always different. She was one person when we were alone in the neighborhood, and a complete other one when anyone else was around. I still have no idea why that girl ever wanted to be my friend. She didn’t need me. But “friends” we were for years to come – despite my inferior status and her unkind treatment throughout the duration of the entire friendship. I have been thinking and praying a lot lately about the condition of my own heart. I have been searching for some suggestions about how and why it is so completely broken. Sure, life has as many answers for that as I do questions, but I believe wholly that there is a big, burly root buried at the bottom of it all. And it all begins with bullying. Because baby grade school girls are not the only badgers bound to balk at an otherwise boring brainiac like me. Big people have their own power plays. And our only choice is either to pretend and play along full of personal pain or to walk away without all the pilfered props and potential they have pulled so mercilessly out of our backpacks for personal gain. People can really make us poor if we let them. But if you started out in poverty like me, at least we can rest in its familiarity when the show is over. But, backing my bicycle up and peeling up the path back to personal relational poverty surprisingly doesn’t seem so smart now a days – says the one still sitting in stillness and solitude so many years later. The real root is rejection. The root is rejection. And the only way to remedy radical, heart ripped out rejection is through real relationships. The only problem is, I reckon those are real hard to realize on this road we call real life. Real relationships take room. Real relationships must make room. Real relationships are often rough. Real relationships are rowdy, rocky, and extraordinarily radical in real life. And I really think that only the most ridiculous renegades ever really get to ride this wave right out to the end. But that’s the remedy. It is. I know it. But I cannot bring about both ends of real relationship any more than I could bawl behind my best friend when she bought into the bad girl brand and began to bully me. And neither can you. In fact, there is only one real relationship I know is both sincere and safe and that is the one with my Savior. So, he makes sitting at my desk staying in for recess still studying not so solitary. He stays. He still loves. And he promises to set the lonely like me in families. Not just families, either, families with his future on their front lobe. He will fulfill that – with or without the luxury of fulfilling finite friendships for me this side of the stratosphere. Remembering that rightly is the remedy for this recovering rejectee right now. My Redeemer really knows me, and I know Him. That’s both my remedy and my reality for right now. Jeremiah, also known as “the weeping prophet,” and whose name literally means, “Jehovah throws” or “Jehovah establishes, appoints, or sends,” was a man of great sorrow. Jeremiah personally felt the sorrow of the Lord as he obeyed his God-given call to warn and reprove his brothers and sisters who were blatantly rebelling against God’s directives. He was truly a prophet like no other, and the scriptures reveal more about Jeremiah’s personal suffering than any other Old Testament prophet. Jeremiah prophesied during the reigns of the last few kings of Judah from 627 – 586 B.C. Beginning with Josiah, who sought to partner with Jeremiah and reform the gross idolatry and sin going on in his kingdom, and ending with Zedekiah, Jeremiah’s ministry lasted a long and traumatic 40 years until his warnings materialized and the Jewish nation was taken into Babylonian captivity under King Nebuchadnezzar. The chief sins of the Jews during Jeremiah’s ministry were gross idolatry, child sacrifice, religious insincerity, dishonesty, adultery, injustice, tyranny, and slander. Sound familiar? Jeremiah was both a priest and a prophet. He was often lonely, having been called to a celibate life as evidence of impending judgement, and having been rejected by all his peers, hearers, and countrymen for his truth-telling. Jeremiah’s speech was more plain and rough, often lacking the cordial tones of some of the other prophets which doubtless also contributed to his alone-ness. Matthew Henry notes, “Those that are sent to discover sin ought to lay aside the enticing words of man’s wisdom. Plain-dealing is best when we are dealing with sinners to bring them to repentance.” So, while Jeremiah was doing right by God and was the ideal example of a prophet called to rebuke sin, he lived a life of felt and full-out rejection for it. Jeremiah escaped the judgement initially when Babylon invaded – even being called out by name by the commander of the opposing army and given respite while all his fellow Jews were captured. Later, though, as legend has it, Jeremiah still died a martyr at the hands of his own people. His life was a parallel to Christ’s. Besides Christ, there is truly no one I personally admire more in scripture than Jeremiah the prophet. The context of this “leaving” is notable. Jesus left Judea for a reason. He left because the religious leaders of his day caught wind that he was gaining a following. His disciples were baptizing lots of people – even more than John the Baptist. Why would that make Jesus leave? If Jesus was bringing people to God, why would religious men be upset? Why would what some religious pretenders thought make him stop and leave? Why was that a problem? It was a problem because those religious leaders were extremely jealous. Jesus knew they wanted the power and control of God’s house and God’s people that belonged solely to him. Because they so coveted and idolized power and control so severely, they wrongfully assumed that that was what Jesus and his followers must want, too. They thought that he came to take their beloved places of authority. Because their identity was in their works and their positions rather than in a right relationship with God, they hated Jesus and his right-doing followers. Ironically, Jesus had every right to direct the religious dealings of the Jews. He was their Savior! He had every right to be the authority among all of them and all the Gentiles as well. He is the King of Kings!!! Wonder what would happen if Jesus showed up today to put his church in order? Wonder what religious men would do? Wonder what would happen if he tried to do it through the testimony of an adulteress woman? Somehow, people, especially particularly religious ones, do not like when Jesus is really in charge of the church. When Jesus is calling the shots, men are not and their almighty positions of leadership are threatened. Jesus does not fight with them over their pride and pretense. Instead, he reveals it. He reveals it by leaving. He chooses to go through Samaria – a place and a people that the Jews overtly hated. Jesus proves their hypocrisy without even saying a word to them. He does it merely by purposefully preaching to a person they despised – a Samaritan woman. Sometimes religious leaders cannot hear plain and simple truth no matter how clear and obvious it really is. They cannot hear because they refuse to. The wisdom of Christ recognizes that and stops talking. The wisdom of Christ simply shows them up by doing exactly the things they should be doing but refuse out of their pride and hypocrisy. Jesus went directly through Samaria on a route the Jews went far out of their way to avoid. The text says he “had to.” He had to because he had to show the religious men their fault. He had to because he had to show the Samaritans salvation. He cared equally about both the religious men in their error and the irreligious woman in hers. He proved both in one act. No one asked these questions. Despite their surprise, no one wanted to know? There is a reason for that. They likely did not want to be asked to do the same. Even Jesus’ own disciples were tainted by the social norms of their day. They knew it was social homicide to speak with Samaritans or honor them as brothers and, gasp, sisters. They were not willing to risk their own reputation to honor people God had chosen. They were afraid, prideful, and unyielding to those whom God had deemed clean. Jesus is not like erring, religious men. He does not avoid difficult and uncomfortable situations. In fact, he makes it a point to meet the very people who instigate them. He does it in order to show prideful men the hatred they have in their hearts for others and to show humble outcasts the love he has in his heart for even them. He does both at the very same time. Even Jesus’ disciples feared following his lead and example in talking to this outcast woman. Not only was she part of a social group they avoided, she was a she and not a he. The contempt they had for her was doubly great. Jesus shone a light on the contempt they had for her in order to show them the wickedness in their own hearts. The Jews were wrong about Jesus. Their power-hungry hearts were desperately jealous. They were wrong about the Samaritans. They were wrong about women. The Jews were no different than any other human group on earth. They just thought they were because they were used to getting special treatment; preference; respect; seats of honor. They were, after all, the children of a long line of self-righteous, spoiled brats. They were just as desperately needy and sinful as any Samaritan in Samaria. Therefore, Jesus pulls the curtain back on their dark thoughts and actions not by telling them, but by doing the very things they were not willing to do. He shows them their sin by doing the right they refused to do. And the woman preached the gospel by her testimony. The Samaritans were saved despite all the religious efforts to avoid the likes of these unworthy people whom they esteemed themselves so much better than. To that end I ask, are things really any different today? If you think things have changed, try being a former adulteress with something to offer in a patriarchal church in 2017. Nevertheless, despite the odds, Jesus used an adulteress to save a town full of outcast rejects. If anything gives me hope at all, it is that. The end is nigh for Moses’ dreadful work. Daily dealing with a desperately obstinate man is no easy work. Being the bearer of God’s just judgments is not jovial. Soon, God promises independence from both. One. More. Plague. After you collect their gold and silver, every firstborn in the land will die. Every firstborn Egyptian baby will die – both man and cattle. Yet, not even so much as a dog shall growl at any who belong to Israel. Make no mistake, God will snuff out everything that belongs to rebellion and pride. He will give the honor and glory and wealth to his own people. Yes, God fights jealously for his precious own. After Moses pronounced this last and fearful judgment, he went out from Pharaoh’s presence in hot anger. Deaf to his warnings, blind to his state, Pharaoh is still without concern. Righteous anger is that which burns because men slight God and snub his ways. Righteous men are rightly angry at the lack of conviction apparent in unrighteous men. All these wonders. So many signs. Chance after chance after chance to put away his self-serving agenda and save himself and his people. But Pharaoh kept right on doing as he had always done. These are the desperate effects of a dark and hardened heart. 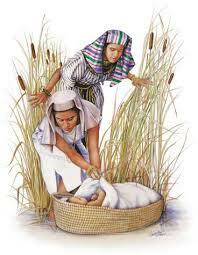 Pharaoh stayed stuck in his ways even at the most severe and sure warnings of his life. Those who reject the sure and certain miracles of God wait for their own demise. When one rejects and mistreats God’s people, he may be gracious enough to send a prophet. When he rejects God’s prophet, he may be gracious enough to send a sign. When he rejects the sign, God may, in great mercy give another, and, in Pharaoh’s case, another, and another, and another, and another, and another, and another, and another, and another. But when his people, the prophets, and his many merciful signs and wonders are disregarded as degenerate and disgusting, believe it, final judgment is nigh. Plead God’s mercy in your anger, man of God. The unrepentant will soon surely need it. Moses. Now there’s a man I can sympathize with. By God’s providence and his mother’s desperation, he was raised by an enemy who sought to kill him at birth. Moses was angry at the injustice done towards his native people even though he did not suffer it himself. He left a life of comfort, power, and luxury to be a desert dweller out of anger and fear and remained there until God called him back to the enemy’s camp, er, uh, his adoptive family, forty years later. Moses was a deliverer, a leader, and, well, a hot-head. None the less, when I think of Moses the thing I always consider most is the great difficulty he faced throughout life as belonging to both Egypt and Israel, yet being so often rejected by both. How hard it must have been for Moses to leave the only family he ever knew out of love for the family he did not. How difficult it must have been for him to confront a family of would-be friends repeatedly on behalf of a family who often made him the enemy. What can a man do when his own people do not trust him and he has obediently forsaken those whom God calls him not to trust? Little wonder why Moses was an angry man. He was rejected by everyone – one group because he did right and the other because he would not do wrong. On a human level, Moses couldn’t win. I feel you, brother. Sometimes trusting God and doing his will makes you the most unpopular person in the world. Doubtless Jesus can relate to this dilemma. The good news is, Jesus won. Moses won. Despite the opposition, both accomplished God’s sovereign will. Moses successfully led Israel out of Egypt and to the brink of the promised land. This journey is known as the Exodus. I will be spending the better part of the next year – if not longer – with Moses. I hope you’ll join me as I trace my way through the stubbornness of we people of God and out of the enemy’s enslavement by nothing less than God’s great mercy coupled with his provision of a strong, obedient leader.